2015 Road Trip Photos #50: Outtakes, Alabama « Midlife Crisis Crossover! 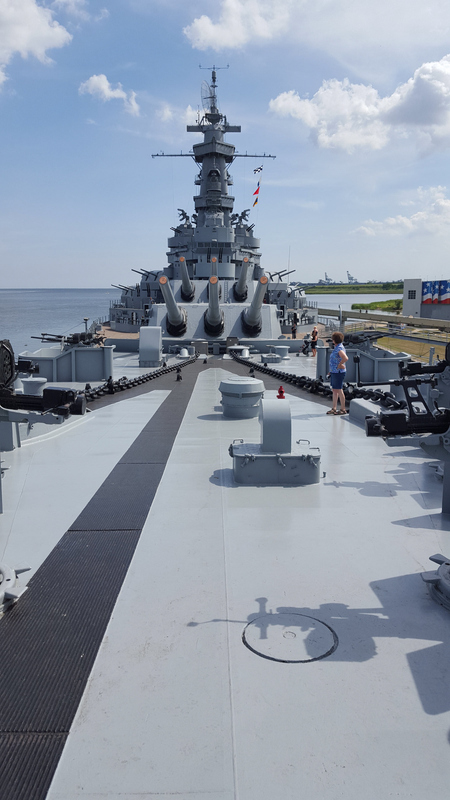 My favorite shot of the top deck of the USS Alabama…starring some complete stranger who wandered in the way. With each year’s travelogue we like to conclude with a second-chance review through the hundreds of photos we took to see which photos were unfairly cut from the final roster, which ones didn’t fit into the narrative but possess their own merit, and/or which ones slipped through the cracks for no valid reason. The twelve pics in this first of two outtake sets were all taken in Alabama, arguably the state where we spent the most time this week, racked up the most driving mileage, and learned the most about through historical immersion. 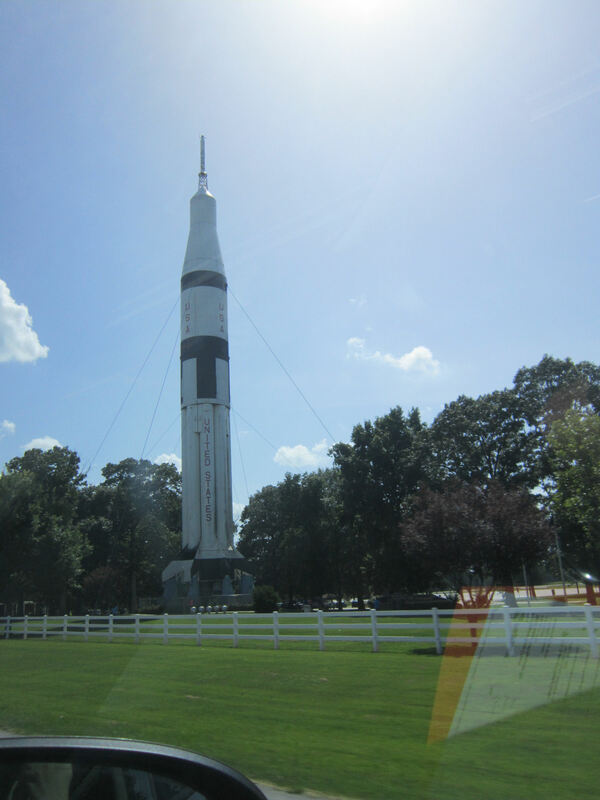 The Saturn IB launch vehicle as we drove past it on I-65. We had to go to the next exit, turn around, and double back to its welcome center. Its tip was visible several miles earlier than this. 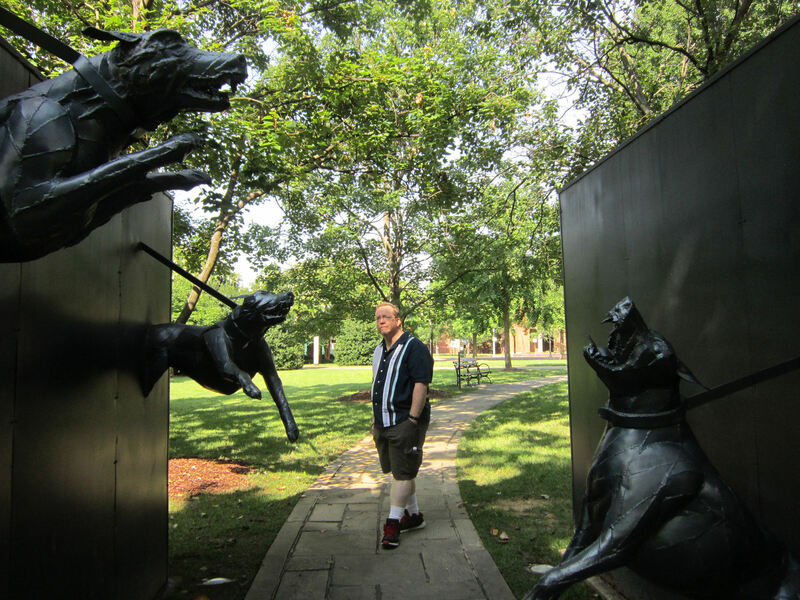 Alternate view of one of the civil rights memorial statues at Kelly Ingram Park, in which your humble author imagines an alternate reality where the hounds turned on the white guy who ordered their release. 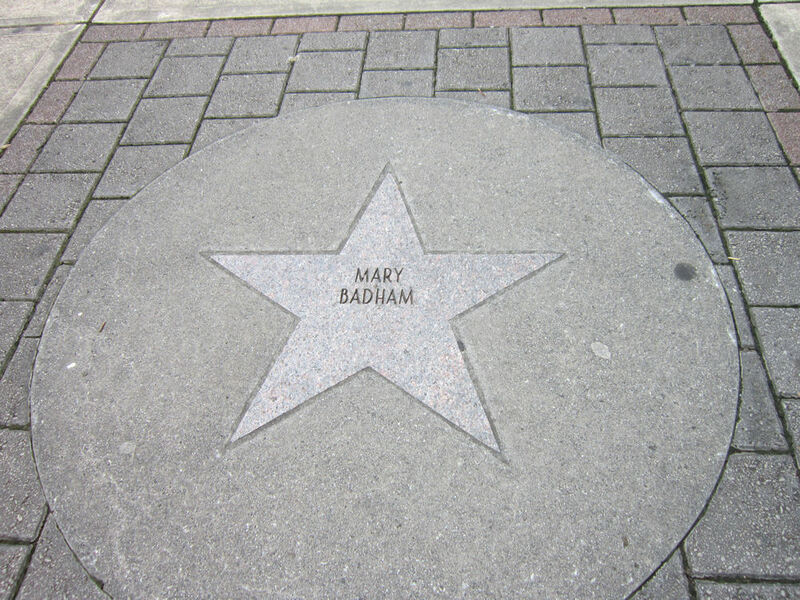 One of many stars on downtown Birmingham’s Alabama Walk of Fame belongs to Mary Badham, best known as li’l Scout from the original film version of To Kill a Mockingbird. My wife knows her better as the little girl who starred in the final episode of the original Twilight Zone, “The Bewitchin’ Pool”, in which the Powers That Be apparently deemed her voice too Southern and ordered all her lines overdubbed by voice actor June Foray. 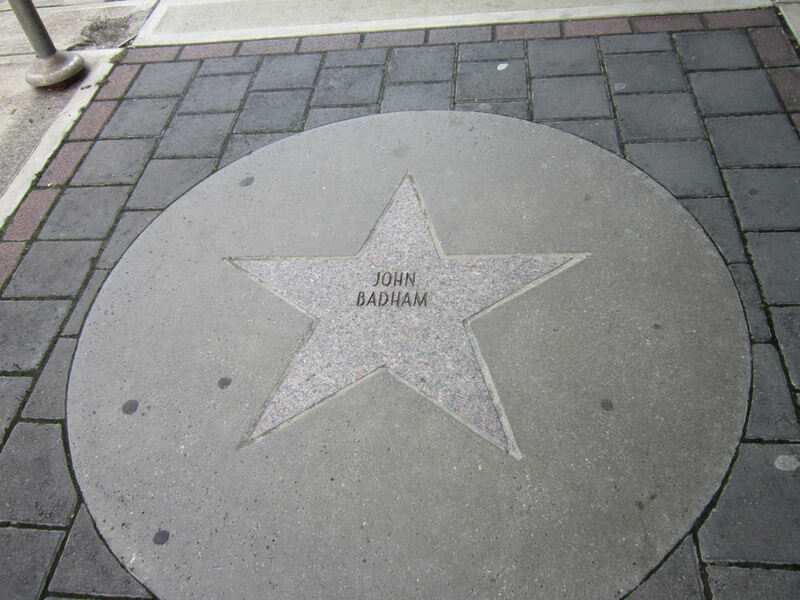 Mary’s older brother John Badham is a longtime director whose career highlights include Saturday Night Fever, WarGames, and Short Circuit. Most recently he’s been directing episodes of Supernatural. 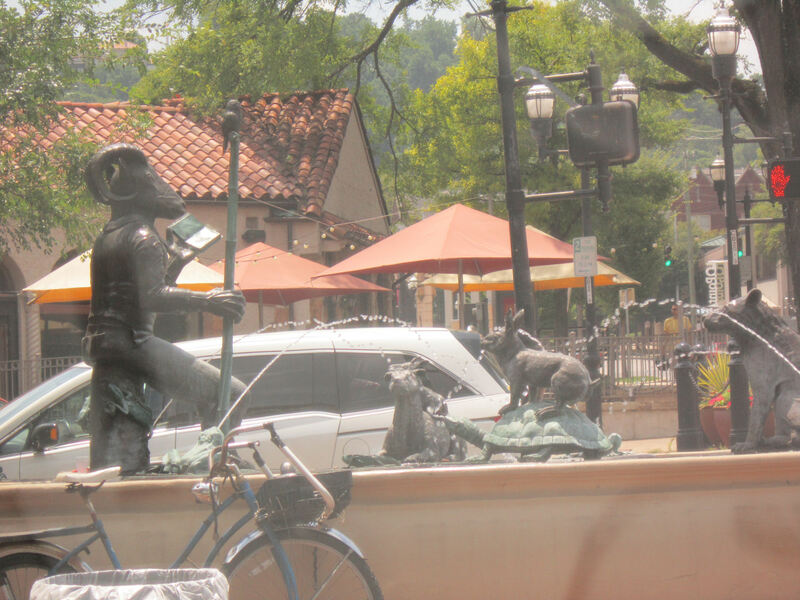 Caught while driving from the Fish Market to Vulcan Park & Museum: The Storyteller, a fountain containing several statues gathered ’round to swap anecdotes. 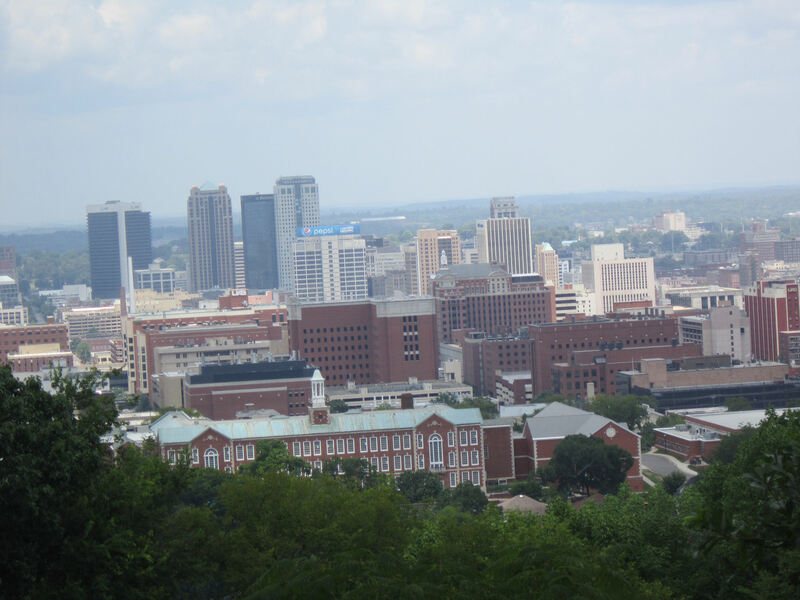 Much better view of downtown Birmingham from Vulcan’s tower than what I used in the cityscape montage. Total oversight on my part. 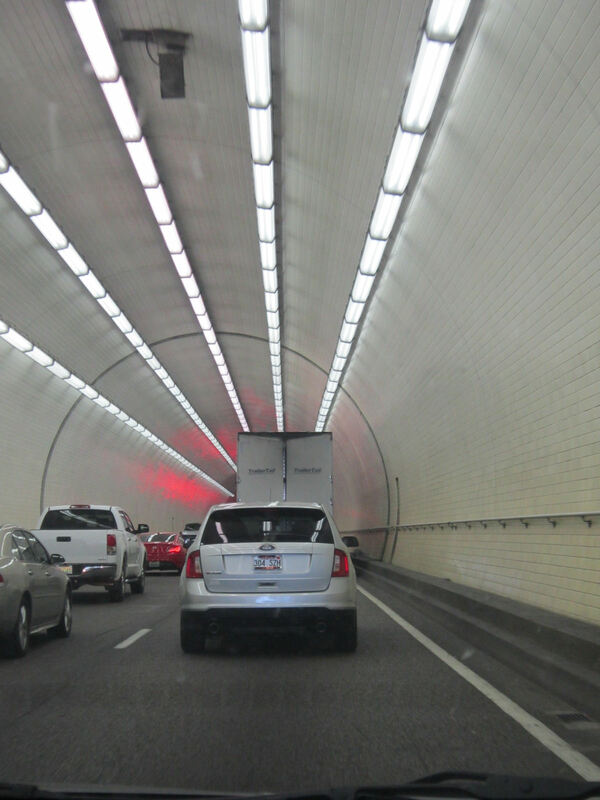 Our brief drive through the George Wallace Tunnel, the part of I-10 East that took us under the Mobile River and on to the USS Alabama. 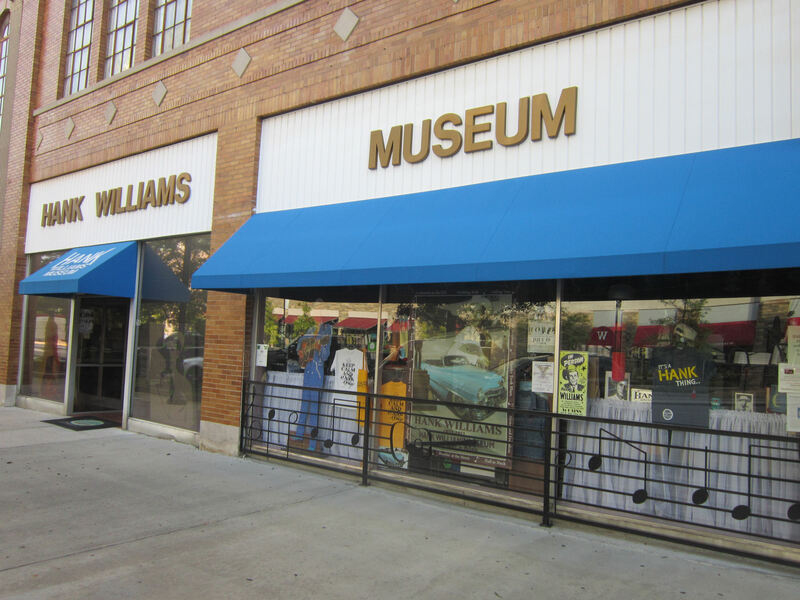 The attraction nearest our downtown Montgomery hotel was the Hank Williams Museum. Neither of us is a country music fan; this was months before the release of I Saw the Light starring Tom Hiddleston; and it wasn’t yet open for the day anyway. 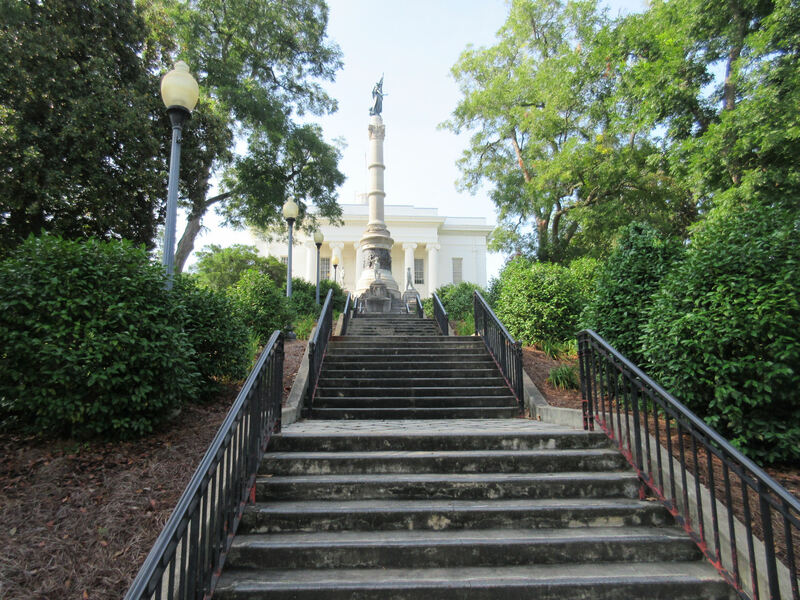 Alternate view of the Confederate Army memorial from the bottom of the long staircase leading up to it. Once upon a time in 1910, Orville and Wilbur Wright taught at an aviation school in Montgomery for less than a year. 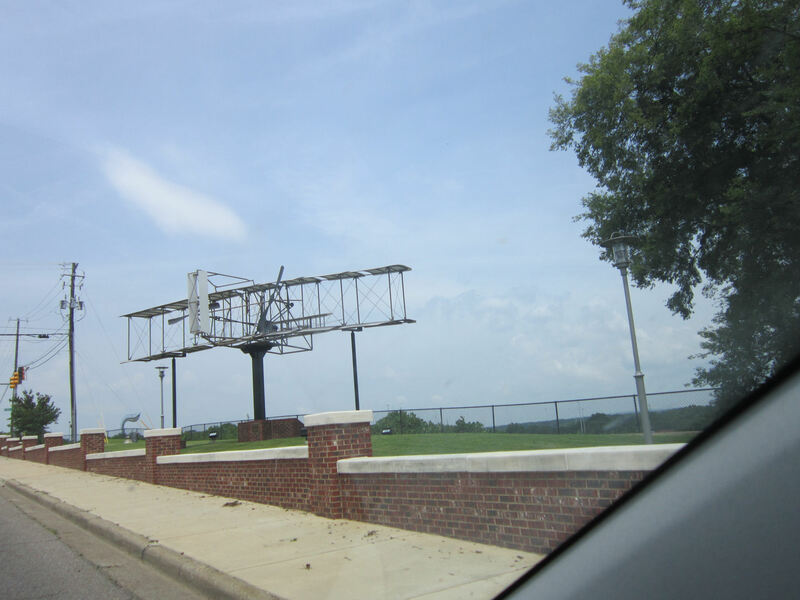 To capitalize on this isolated footnote, in 2013 downtown’s Overlook Park was renamed Wright Brothers Park and spiffed up with this Wright Flyer replica. 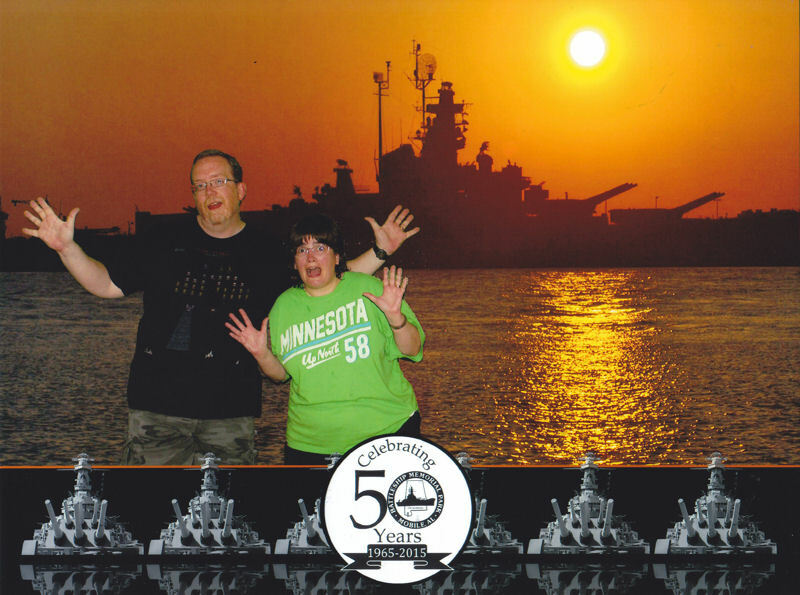 Our souvenir photo from the USS Alabama. Five days into our long journey, our jazz hands weren’t caught at their best.